Seventeen-year-old Catherine Pulaski knows Zero is coming for her. Zero, the devastating depression born of Catherine's bipolar disorder, almost triumphed once; that was her first suicide attempt. And so, in an old ballet-shoe box, Catherine stockpiles medications, preparing to take her own life before Zero can inflict his living death on her again. Before she goes, though, she starts a short bucket list. This bucket list, combined with the support of her family, new friends, and a new course of treatment, begins to ease Catherine's sense of isolation. The problem is, her plan is already in place, and has been for so long that she might not be able to see a future beyond it. 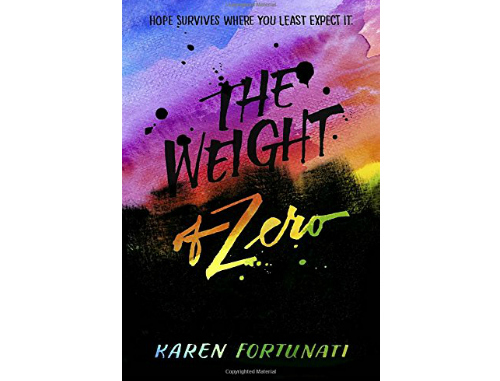 This is a story of loss and grief and hope, and how some of the many shapes of love--maternal, romantic, and platonic--affect a young woman's struggle with mental illness and the stigma of treatment.